Tanjung, S Kalimantan (ANTARA) - Two Islamic high school students of Madrasah Aliyah Negeri 1 Balangan, Fitria Salsabila Bukhori Muslim and Erma Fitriani, were both keen to science. Since the junior high school, Fitria and Erma became contestants in various science competition for the district level. One of the science olympiad they both took part was the one initiated by Adaro Untuk Negeri Foundation (YABN). It was the realm that had sharpened their potency to develop various research projects. 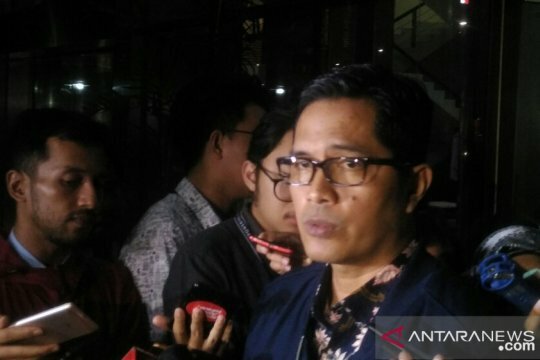 The result was they both became ambassador of Banua Enam (Six Districts Area in South Kalimantan) to compete in the national level Indonesian Science Project Olympiad (ISPO) which was held in Februari 2019. At the 2019 ISPO both Fitria and Erma were selected as finalists along with hundreds of teams from various regions. Fitria, who aspires to become a teacher, won an Honorable Mention medal for the chemical category with the paper "Making Batteries of Rice Fields with Sacred Hybrids as an Alternative Lighting Lamp in Batu Mandi Rice Field Cottages." Whereas Erma, her school colleague, entered the finalist with a research project entitled Utilization of Batumandi Irrigation and Rice Field Channels as Alternative Energy from Waterwheel and Solar Cells. Even though coming from a farmer's family did not dampen Erma's desire to wrestle in the world of science. Especially the daughter of Sarkani and Siti Fahnor is obsessed with becoming a public health expert. In her research project with Najali Rahman, who is also a school colleague, Erma wanted to use natural resources and the environment to meet the electricity needs in the countryside. Erma and Najali's research projects also made it to the list of 121 finalists with teams from various cities and districts throughout Indonesia. "Clearly proud to be able to advance at ISPO 2019, because we have to compete with students throughout Indonesia," said Fitria, who currently sits in XI grade. At the ISPO held at Kharisma Bangsa School, Tangerang, February 22-24, 2019 Fitria performed with her team-mate Radiah Elhasiani, a X grade student at MAN 1 Balangan. The daughter of Imam Bukhari - Zulfah Magdalena recounted the number of rice fields in Batumandi Sub-district in Balangan behind her research project to make alternative lighting in paddy fields. "We want to provide knowledge that paddy fields and irrigation channels can be used as a source of electrical energy," said Fitria. 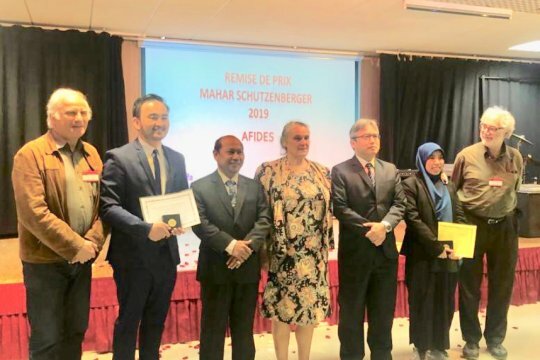 With the guidance of her mother, Zulfah Magdalena, who is also a mentor teacher at her research project, Fitria and her team finally won the title of Honorable Mention at ISPO 2019. Thanks to the support of her mother who is currently managing the Balangan Science House increasingly motivates Fitria to continue to deepen the field of science. No wonder her achievements at school are also quite prominent both in academics and other talents such as storytelling competitions. The success of the two students of MAN 1 Balangan is also inseparable from the support of the Adaro Bangun Negeri Foundation in the form of assistance in the development of research projects. Including support for facilities and infrastructures to facilitate departure to the 2019 ISPO.